I have a proclamation to make. I have fallen head over heels for mini desserts. And let me tell you why – they are so stinkin cute, you can eat more than one and NOT feeling guilty, and they are darn tasty. 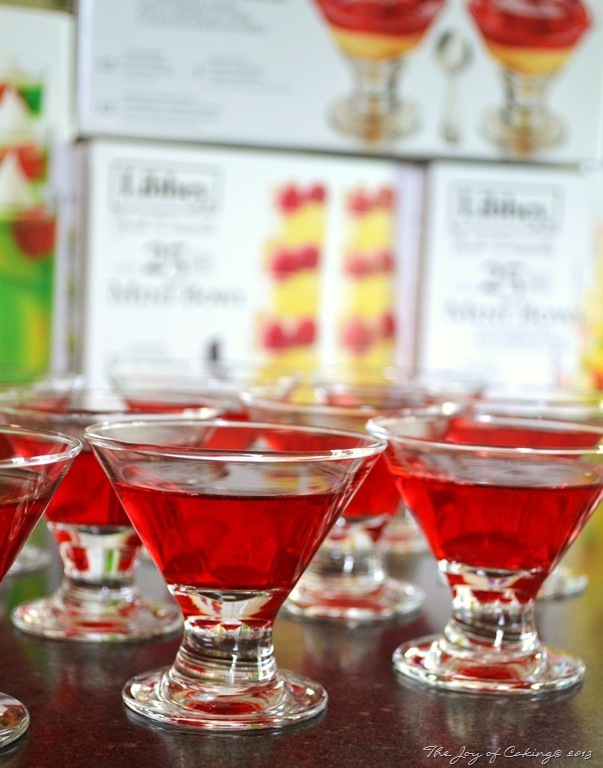 I recently received some mini dessert dishes from Libbey Glass and I’m going to put them to the test. I wanted to blossom my creativity a little and these little beauties have given me the incentive to do just that. 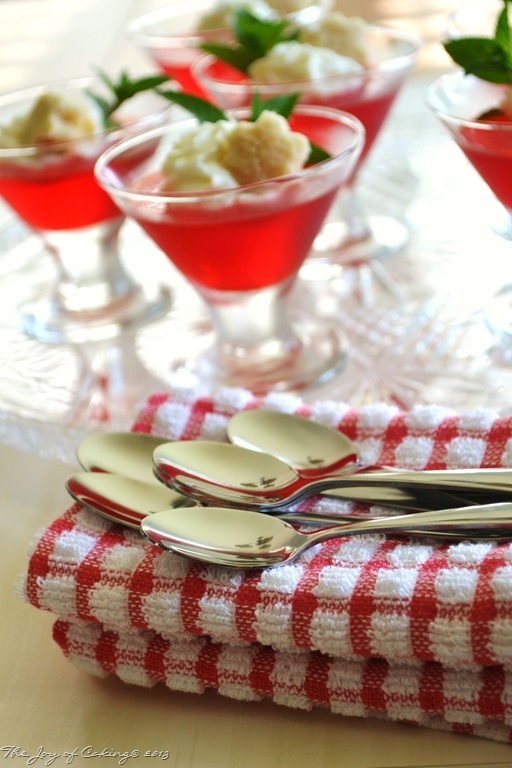 The first dessert I came up with is made with sugar-free raspberry gelatin. HOLD ON! DON’T LEAVE! You are going to want to see this, even if it’s just out of curiosity. I wanted my first mini dessert to be simple, low calorie, and for a more mature audience. Wait until you see how I adultified (new word) it. Please allow me to introduce … Skinny Mini’s. 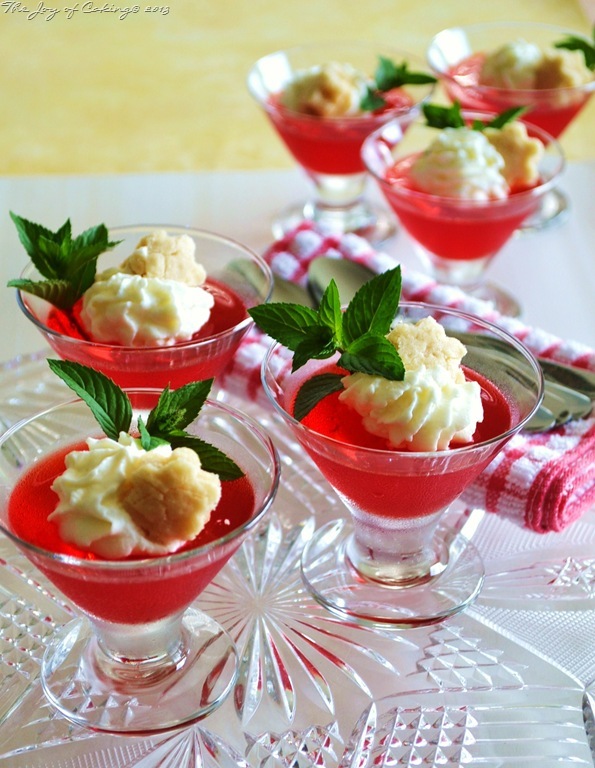 A raspberry (sugar-free) gelatin topped with Mascato infused whipped cream and mini vanilla shortbread bites. As for the taste, I ate three of them just while I was taking pictures. When I made that announcement to my husband he laughed at me and tried to tell me that making mini’s means you ration yourself. Nah… I don’t think so. Not when you are talking about sugar-free gelatin, a tiny dollop of whipped cream, and a bite sized shortbread cookie I quickly retorted. To make Skinny Mini’s you will need (per my suggestion) one box of twelve Libby Flare Dessert Dishes and mini spoons (they are sold as a package). 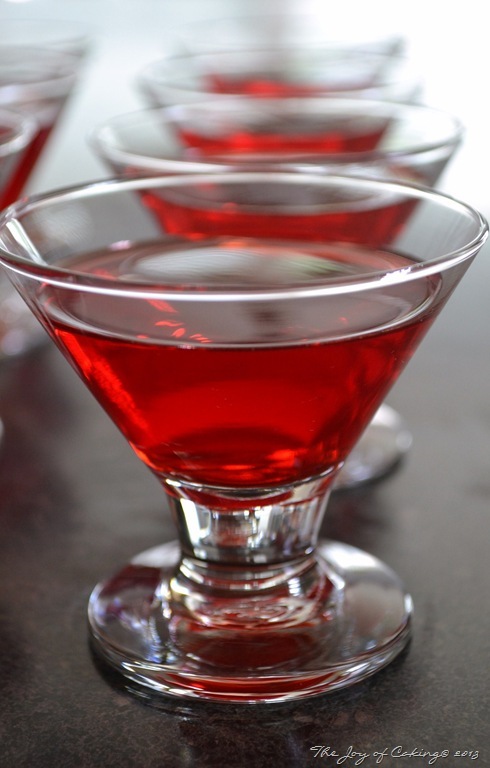 You will also need one small box of sugar-free raspberry gelatin. 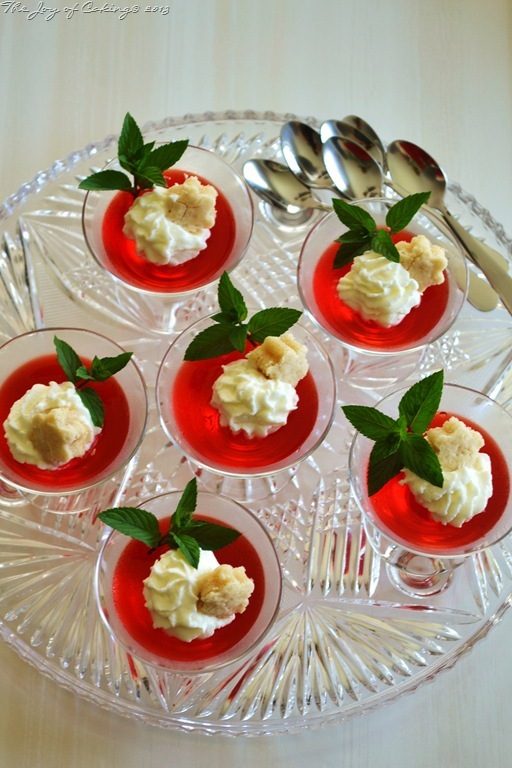 Prepare the gelatin following the instructions on the box and divide it equally into the dessert glasses. Refrigerate until firm. Lightly spray a baking sheet with non-stick cooking spray, and line with parchment paper. In a large bowl, add margarine, sugar, and vanilla. Beat with electric mixer until creamy. Add sifted flour, and mix until batter holds together. Spread batter onto prepared baking sheet making a square about 5”x 5”. 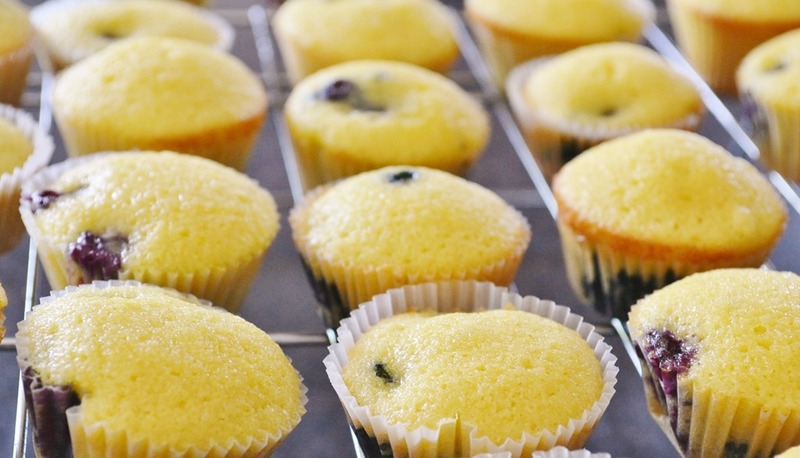 Bake for about 15 minutes, or until toothpick comes out clean when inserted into the center. Remove from oven and cool slightly. Use a mini cookie cutter to cut baked cookie dough; set aside. Place heavy cream and sugar in a chilled bowl and mix with electric mixer until cream thickens into whipped cream. Slow drizzle the wine into the whipped cream while the beaters are going.. Using a pastry bag squeeze whipped cream on top of each gelatin dessert. 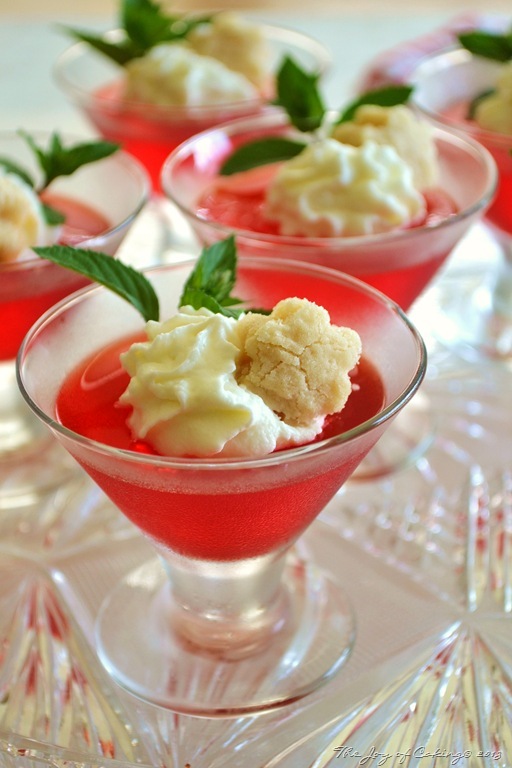 Place a mini shortbread bite on top of each dessert topped with whipped cream; garnish with fresh mint sprigs. While Libbey did provide me with these mini dessert dishes, I was not compensated for this post, and the opinions contained herein are my very own.